Katelynn Homb is the newest addition to the OVTRC team. 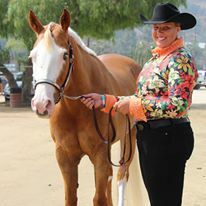 An accomplished horsewoman, Katelynn enjoys sharing her passion with new riders, and emphasizes the importance of sportsmanship, safety, and fun! ​A graduate of the University of Texas at San Antonio, Katelynn is also an active member of ETI Corral 57.